On the occasion of the Czech Theatre Photography 1859 – 2017 exhibition, the Arts and Theatre Institute has published the eponymous book dedicated to history of taking pictures of theatre in the Czech lands. The timeline of the publication stretches to more than 150 years, from the first shots in 1859 until nowadays. It presents studio portrait photography, which was typical for the late 19th century, the inter-war period, when theatre productions started being photographed, and avant-garde companies used photography as part of scenic design. Much space is left to the “Golden 60s”, when photography started to be fully established as an art discipline and legendary club theatres were founded. The ending deals with changes brought by digital photography and the Internet. 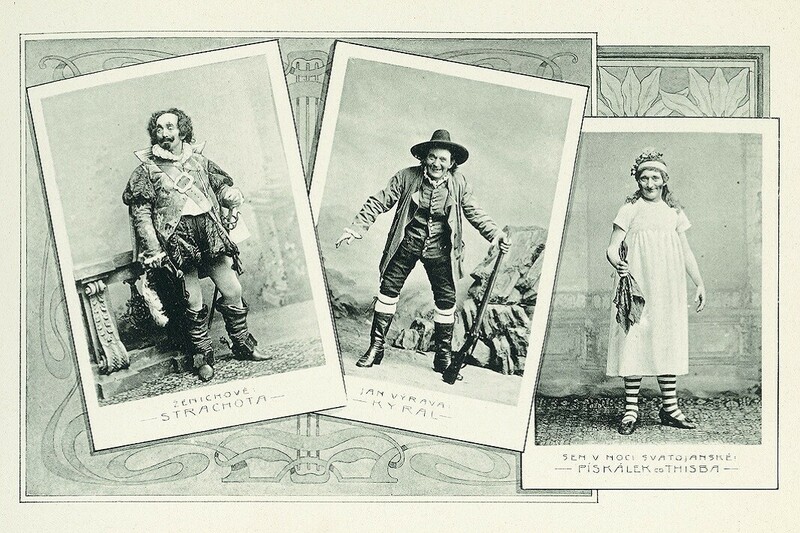 The book contains hundreds of high-quality reproductions depicting the leading Czech theatres and theatremakers. Readers can also discover pictures from the National Theatre, Liberated Theatre, D34 Theatre, Semafor Theatre, Drama Club, Theatre Behind the Gate, Goose on the String Theatre and many others. The publication of the book was preceded by research of several years in dozens of museum collections and archives, thus some pictures are published for the first time. The book Czech Theatre Photography is published in Czech and English. You can buy the book at the Prospero e-shop.